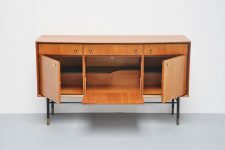 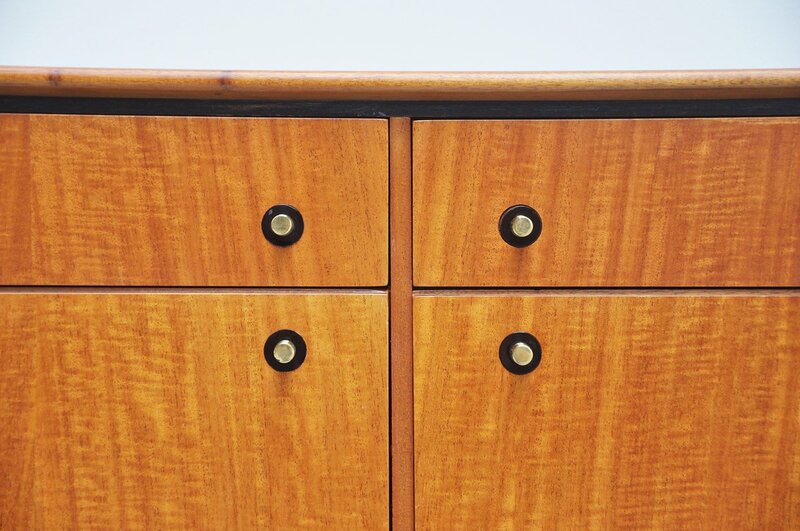 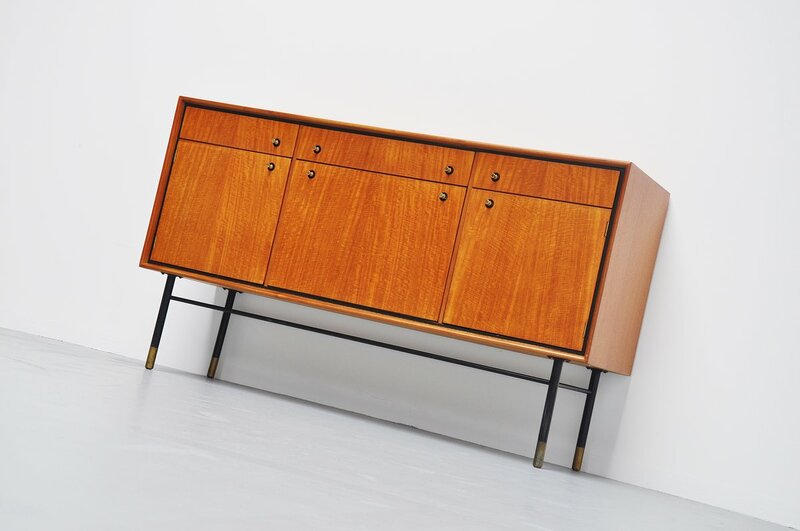 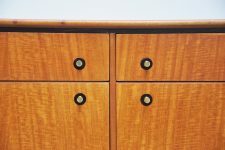 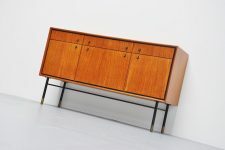 Very nice modernist credenza made upon request by a Dutch unknown architect, made in Holland 1960. 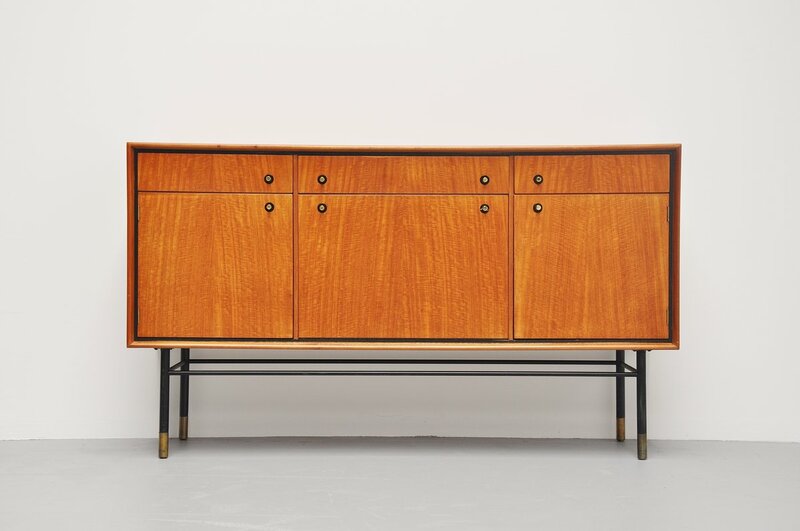 This cherry wooden credenza has a black lacquered metal frame and brass finished details. 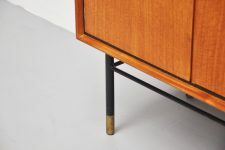 The combination of black lacquered and cherry wood is very nice. 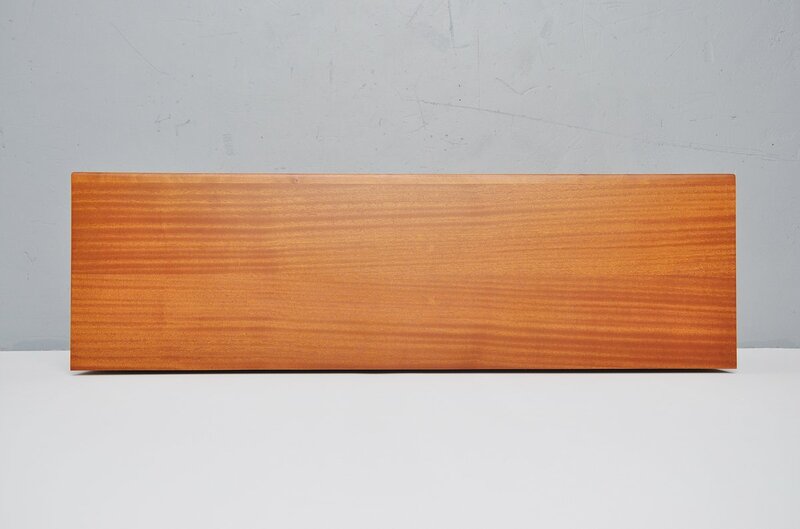 The shelves on the inside are also black. 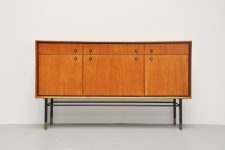 Very nice small but subtle credenza with plenty of storage oppertunities.